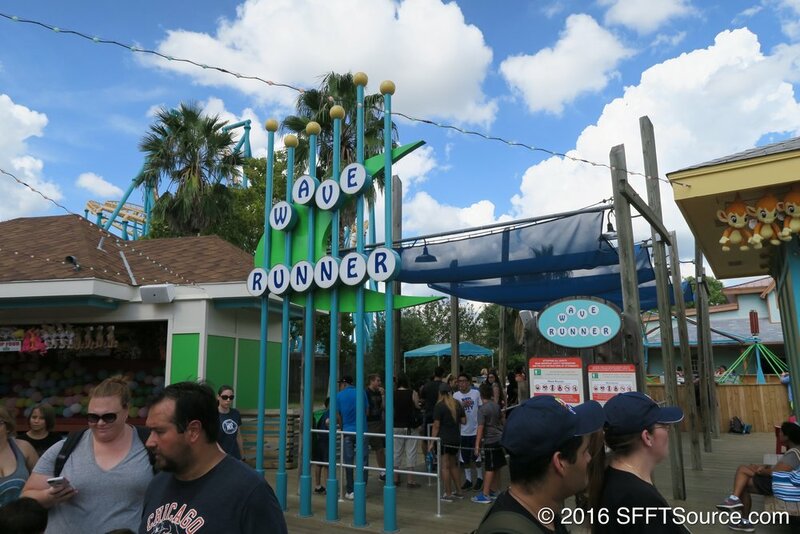 Wave Runner is a classic Scrambler attraction located in the Fiesta Bay Boardwalk section near Crow's Nest. 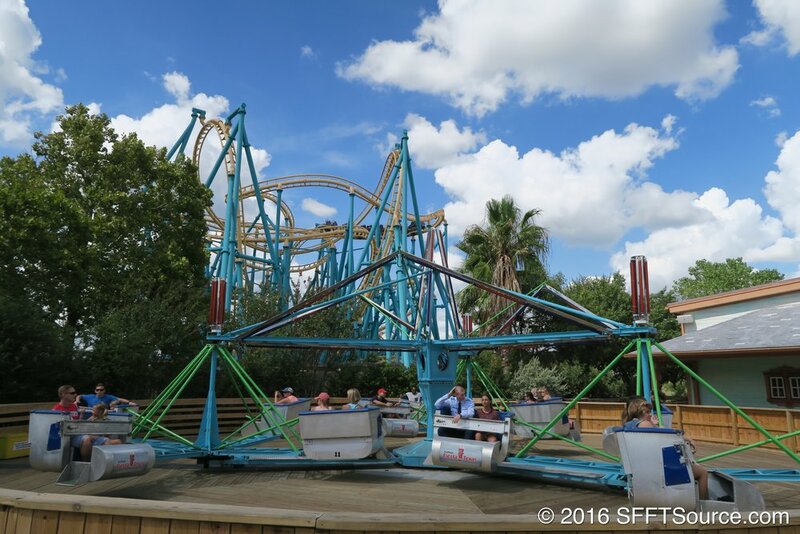 Added in 1994 as an original Fiesta Bay Boardwalk attraction, guests climb aboard cars and are spun in circles at high speeds. Pro Tip: Larger guests should ride on the outside of the car as the attraction pushes riders outward.